Today's data center managers are tasked to do more with less and are continuously facing additional demands on their time and their teams. Remembering to follow best practices for proper data center maintenance is ideal in theory but can be difficult even when your data center is running smoothly. 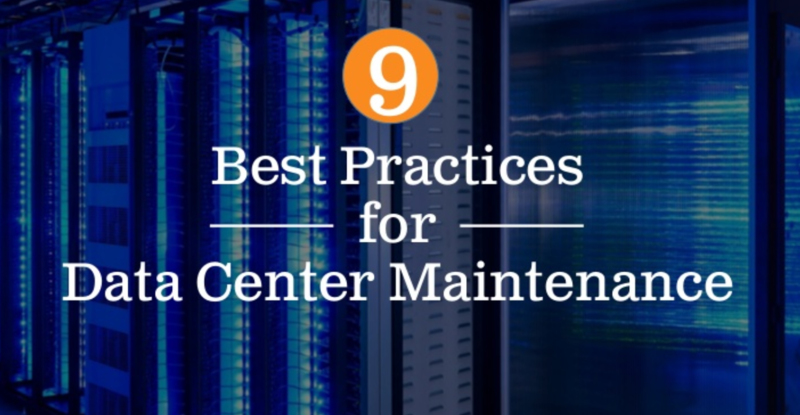 That's why we've compiled a list of nine best practices for data center maintenance. As Data Center Infrastructure Management (DCIM) experts, we've helped our customers learn to better manage their data centers, and along the way, we've learned a thing or two about data center maintenance and how DCIM can help. These best practices can serve as reminders for common maintenance tasks. Each best practice also highlights tips for how to ensure that you're not overlooking anything as you complete them. Want to see for yourself how DCIM can help to simplify your data center maintenance? Book a demo today.